BMW has dismissed the possibility of adding an SUV to the BMW i lineup on the grounds that the combination doesn’t suit the brand. “The thing with the SUVs is nobody needs four-wheel drive for the city. The SUV trend is only a thing about the space or the roominess,” he added. It means that electrified SUV fans will have to settle for the plug-in hybrid X5 eDrive SUV that’s likely to go on sale in 2015. The car’s electric range of 20 miles at speeds of up to 75mph will mark something of departure from the ‘gas-guzzling’ SUV stereotype, a concept version of which was recently unveiled at the Frankfurt Motor Show. Even if a BMW i SUV never makes the drawing board, however, the sub-brand has considerable scope for expansion. 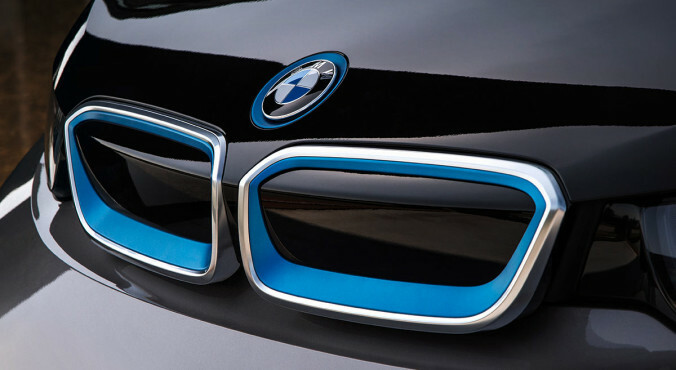 BMW has trademarked names for an entire range of cars from i1 to i9, although so far only i3 and i8 are in use, with i5 widely touted as being earmarked for a Tesla Model S rival. BMW’s decision to start with ‘i3′ also leaves the company with the option of building something smaller – perhaps a similar vehicle to Renault’s tandem-seated Twizy.